Meet Bud Morton, one of our clubs Founding Five. 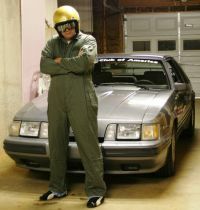 Bud's passion for Mustang SVOs goes back to a well remembered day in the late fall of 1984 when he stepped on the lot of the local Ford dealership and saw a Mustang SVO for the very first time, a black 1985. The new car price tag sticker shock was enough to keep him away for a few years, but it was only til SVOs started showing up in the Auto Trader. Bud has owned quite a few SVOs over the years (about a dozen of them). He is enjoyed all aspects of ownership from a ground up restoration, showing them on a National event level, cruise ins and even participating in an open track event or autocrosses on one or two occasions. A couple of his SVOs were even featured articles in mainstream magazines. Bud even documented the authentication and restoration of his former 1985 Dark Sage as originally owned and used by The Hertz Rent-a-car Company. 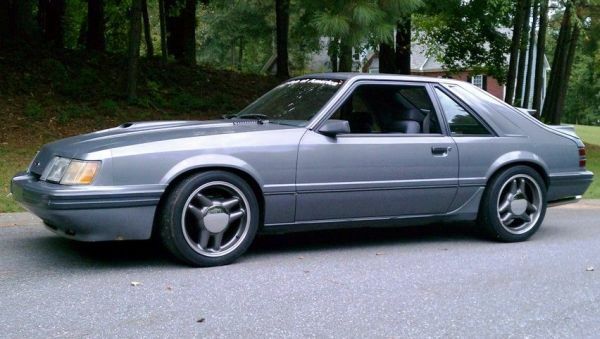 His current SVO is a 1985 1B (Medium Charcoal Metallic). Purchased from fellow club member Ken Potter in 2007, it's maintained and enjoyed with some minimal modifications.